This is my new mad art mantra, my own ‘art for art’s sake’ quote. It originated from my latest venture into mad eutopian art: the great wall of Kaiwaka – a boat hull with bird prow for the Ark. See www.fantasticferrocement.com for more on the building, and pictures. So, when the building project began to feel bigger than I’d bargained for (it always does) I said to myself (and critics! 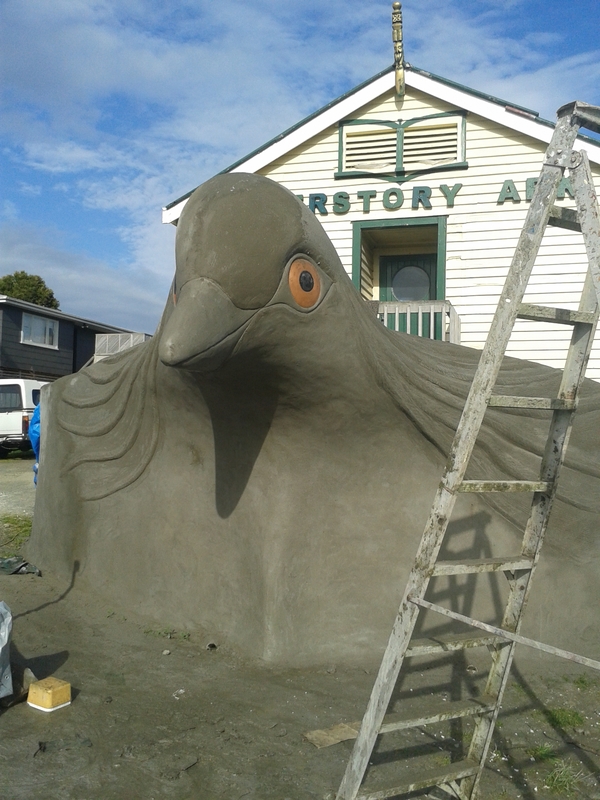 ), ‘I’m doing it for the Bird.’ And for Jenny, the fashion designer with the Dove dress and other eutopian costumes, who has bravely settled in Kaiwaka, in the Ark. See her at www.ybe.co.nz Feels good to have materialised the boat and bird. The agony and the ecstasy… The struggle passes, the bird remains…:) What’s YOUR Bird?